Hm. I suppose I was going to post this yesterday, but time got away from me while I was working, so I’m posting today. I’m sure I’ll have a two-post-day soon, since I doubt I’ll get back on schedule properly doing daily posts. 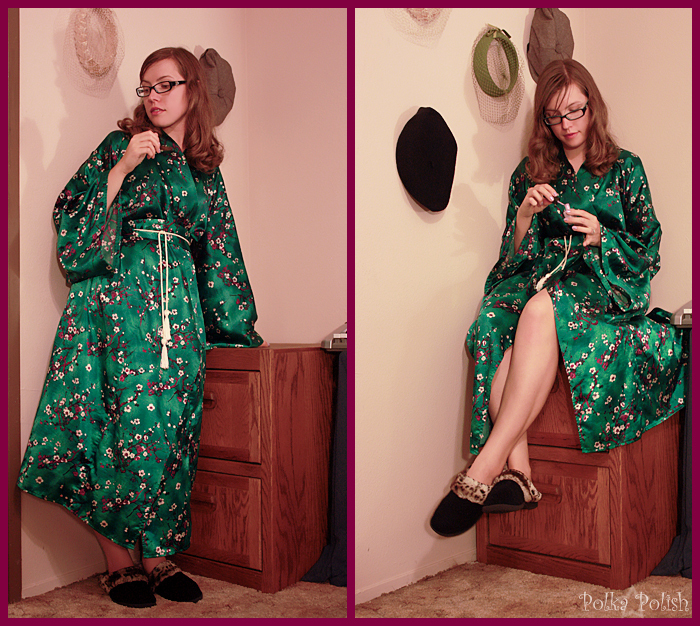 I was planning on taking a picture of the outfit I wore on my errands, but the day was long and by the time I realized I still needed photos for my blog, I’d already ditched the pencil skirt and blouse for one of my favorite pieces of lounge-wear. 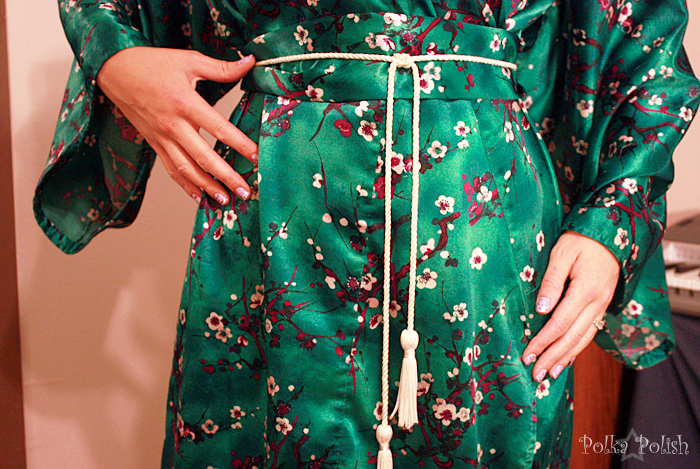 My mother and I made this kimono together when I was in 6th or 7th grade, I think, as a prototype for a more elaborate, longer kimono with bigger sleeves and brocade fabric. I don’t wear the fancy one much (it was a Halloween costume one year, and it is an awful lot of fabric to wear casually) but perhaps I will have to dress it up for the blog one of these days. And look! I’m even painting my nails again. Spoiler alert: They’re purple. Cord/belt: Uh, possibly a graduation tassel from my dad?